Disney gave the world a lot of female characters from mothers and daughters to witches and queens, but it’s no secret that the most popular among them are princesses. Snow White was actually the very first Disney princess: a cartoon about her came out all the way back in 1937. A lot of things changed since then. The way cartoons are made has been completely reimagined, characters are no longer drawn by hand, instead everything is done digitally on computers, and everything is three dimensional instead of flat like in the old days. Not only that, but the way characters look now is completely different, starting from their shape, size and proportions down to their hair, makeup and fashion sense. Isabelle Staub is an artist from Pennsylvania who absolutely loves Disney. 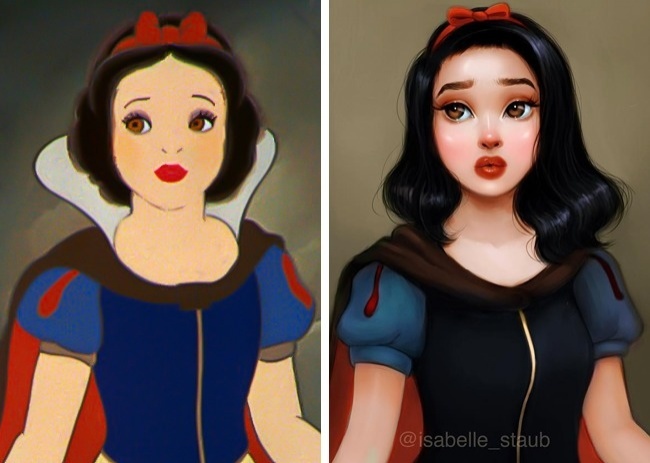 She has redrawn her favorite heroines in her own fashion and it transformed them in a way that makes it seem like these cartoons and characters are brand new and were created just recently. Not only do they look much more modern, but also please the eye with bright colors and clear lines. Take a look and follow her on Instagram for more incredible drawings. 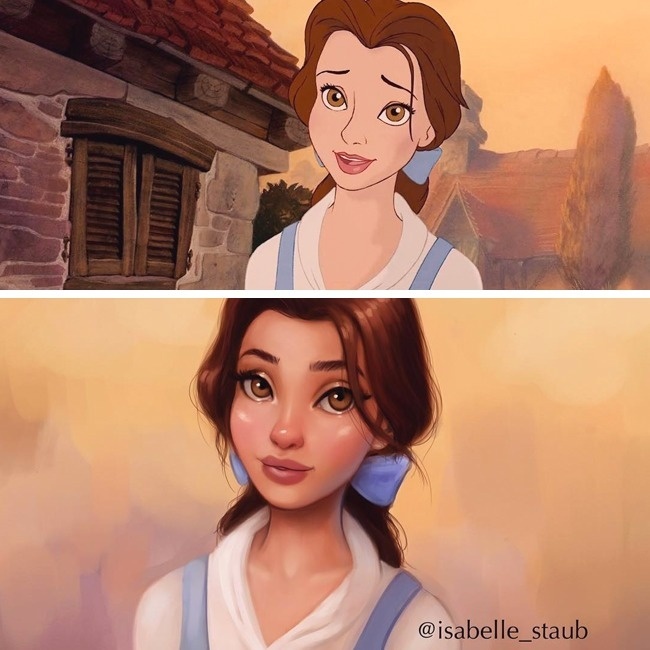 Anastasia is looking much more detailed and real when drawn by Isabelle, don’t you think? 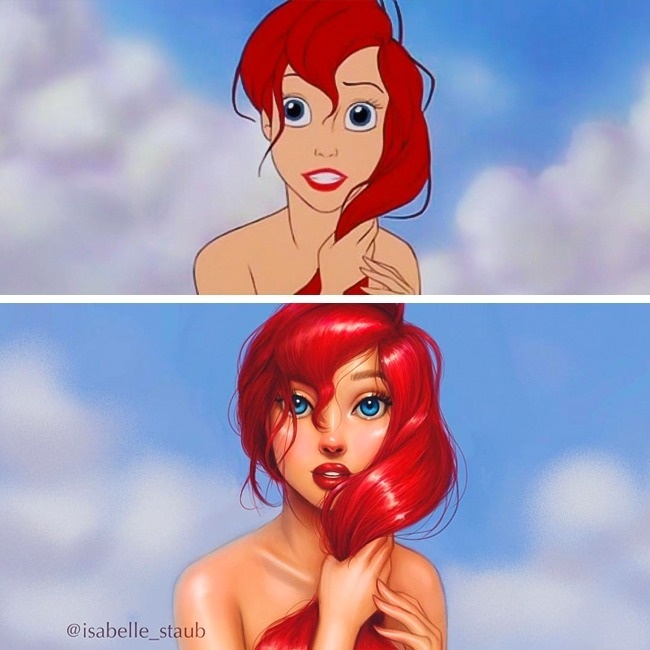 Ariel legit looks like she could be in a shampoo commercial. Like I can see this exact image on a shampoo bottle and let me tell you – I would buy it. Aurora is glowing. She must’ve had a good night’s sleep. Get it? Cause she’s the sleeping beauty? Belle could be an Instagram model. So effortlessly gorgeous it’s making me jealous, even though I know she’s not real. 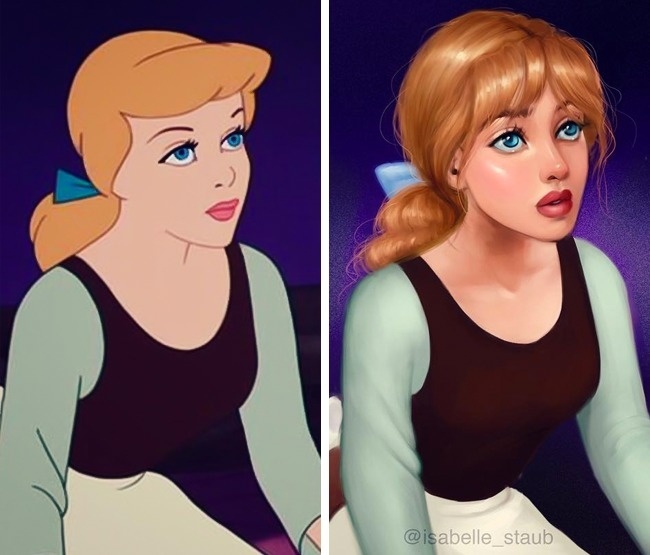 Loving how much more real Cinderella’s hair is looking. A little messy, a little disheveled from all the work she’s been doing. 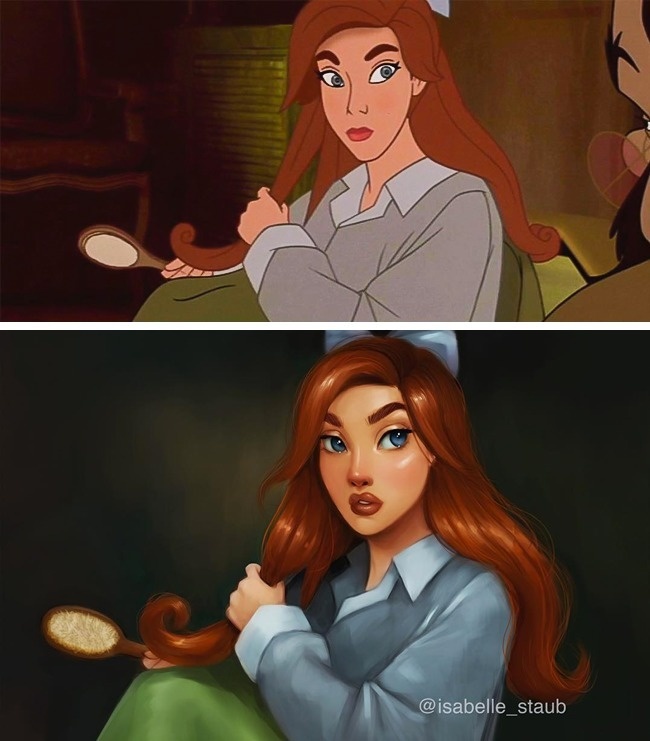 Cause seriously, that doesn’t even look like hair in the original. Esmeralda is looking very hip with her purple hair. Come to think of it, Disney should really think of incorporating some funky hair colors for the Princesses, it’s 2018 for heaven’s sake. 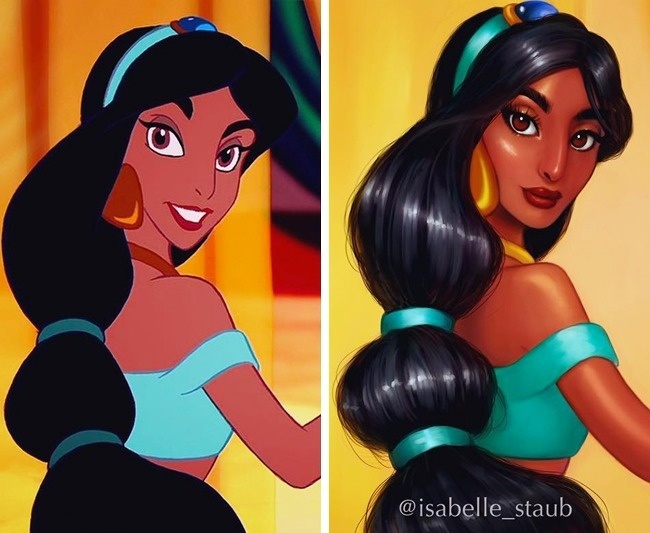 Jasmine’s features look much more defined in Isabelle’s version, which is a good thing. 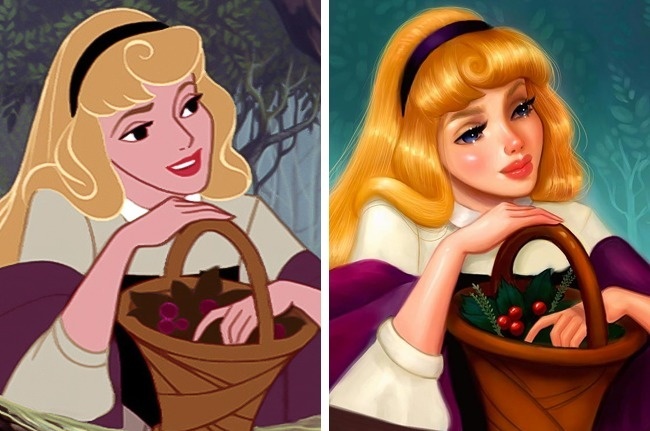 Not every Princess is meant to have the exact same face. 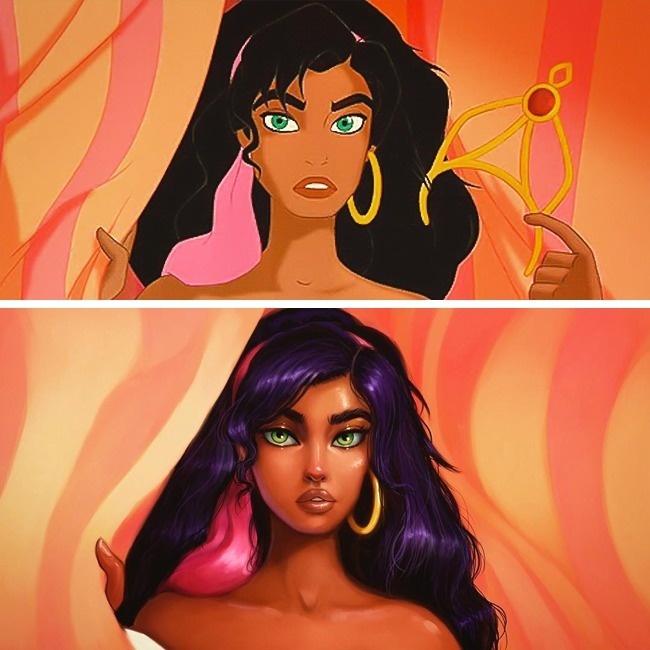 It’s cool to incorporate more diversity into Disney. Kida is looking smashing with her much more realistic platinum blonde hair. Loving the neon accents in her makeup. This look wouldn’t be out of place at a music festival. 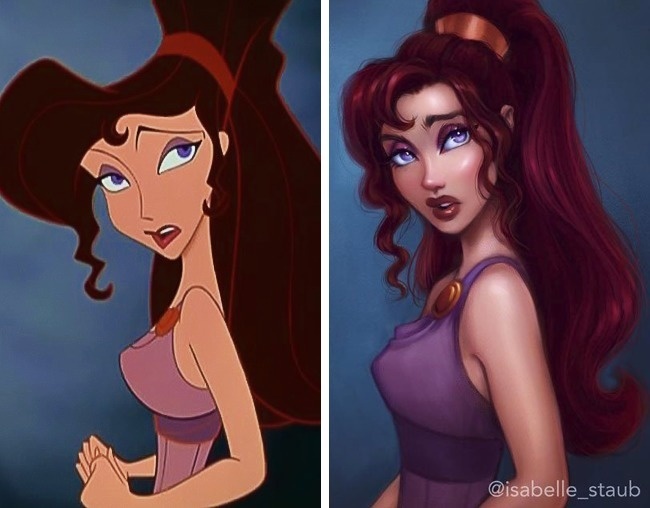 Did it ever bother you how unrealistic and weird Meg’s body and head shaped was in Hercules? I mean, it really looked like her head was a strange shape, not just her hair. Isabelle’s version seems way more likely. 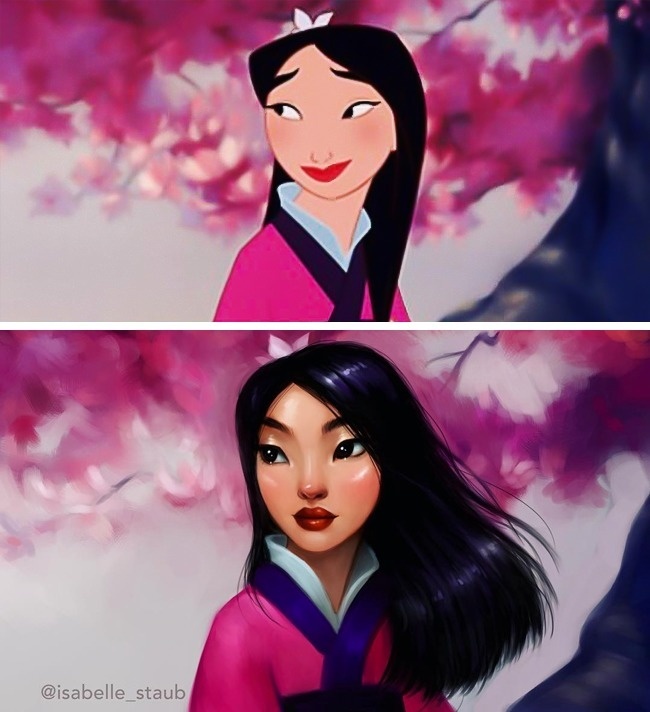 Loving the volume and shape of Mulan’s hair here. Also her face shape and features seem much more real. She’s giving me Youtube beauty guru Michelle Phan vibes. 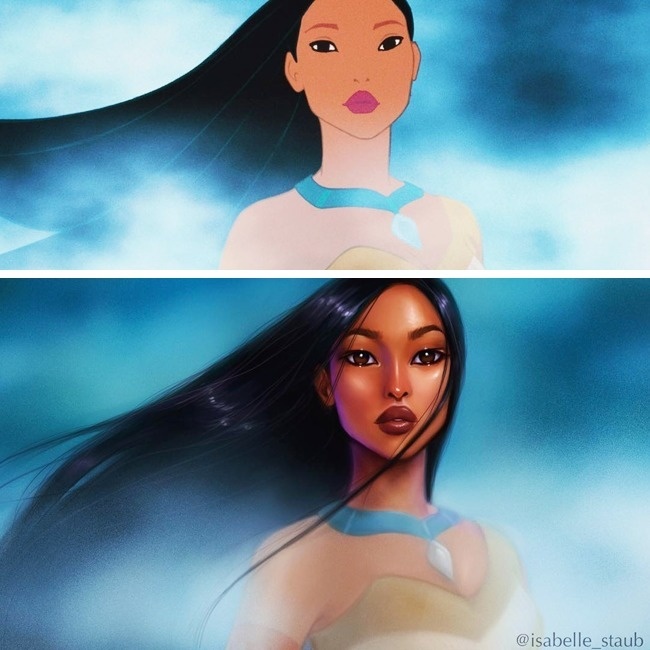 Pocahontas’ facial features were basically nonexistent in the original cartoon. 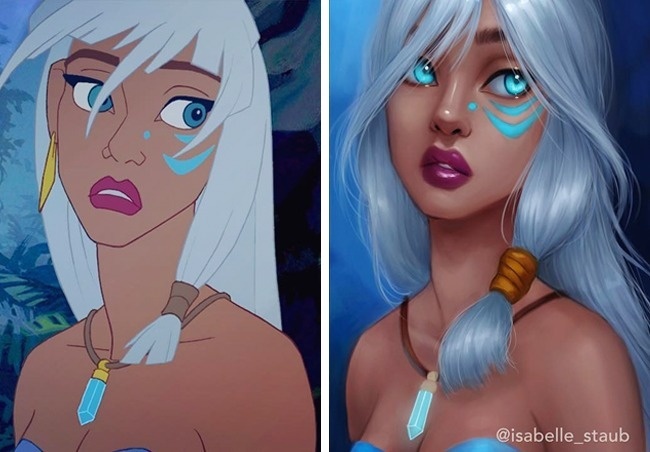 She was so flat and one dimensional, so it’s nice to see a properly drawn Pocahontas that actually has a nose, not just 2 dots instead of it. And finally we got to the oldest Disney Princess ever – Snow White. Let’s just say she looks much better these days than she did in 1937.